My PhD focused on understanding the impacts and influences of natural disturbance, different harvesting scenarios and stand succession on structural (complexity, size variability) and compositional (regeneration, trees, CWD) responses of forest stands using experimental and modelling (SORTIE-ND) approaches. In addition, I have a strong interest in understanding/modelling the drivers influencing biodiversity and carbon sequestration. Building on my PhD research experience in boreal ecology and silviculture and stand-level modelling, I am interested in branching out and pursuing new research opportunities that could combine forest dynamics and modelling with assessment of how climate change may influence forest succession and other ecosystem processes and how these changes would affect ecosystem function, notably in terms of biodiversity and carbon pools. PhD in Environmental Sciences, University of Quebec, Quebec, Canada, 2014. Double master degree: M.Sc. 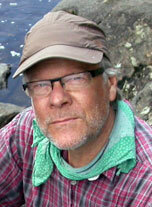 in European Forestry, University of Eastern Finland, Finland and M.Sc. in Forest and Nature Conservation, Wageningen University, The Netherlands, 2010. BSc in Forestry and Wood Technology, Khulna University, Bangladesh, 2007. Internship on Modelling, Ministry of Forest and Environment, British Columbia, Canada, 2013. Internship on Dendroecology, Institute For Forest Growth, Albert Ludwigs University Freiburg, Germany, 2008. Bose, A. K., Harvey, B.D., and Brais, S. (submitted). Does partial harvesting promote old-growth attributes of boreal mixedwood Trembling aspen (Populus tremuloides Michx.) stands? Bose, A. K., Harvey, B.D., Coates, K. D., Brais, S. and Bergeron, Y. (in press). Modelling boreal mixedwood stand development after partial harvesting treatments in eastern Canada. Bose, A. K., Brais, S., and Harvey, B. D. 2014. Trembling aspen (Populus tremuloides Michx.) volume growth in the eastern boreal mixedwood: effect of partial cutting, social status, and neighborhood competition . Forest Ecology and Management 327:209-220. Bose, A. K., Harvey, B.D., and Brais, S. 2014. Sapling recruitment and mortality dynamics following partial harvesting in aspen-dominated mixedwoods in eastern Canada . Forest Ecology and Management 329:37-48. Bose, A. K., Schelhaas, M., Mazerolle, M., and Bongers, F. 2014. Temperate forest development during secondary succession: effects of soil, dominant species and management . European Journal of Forest Research, 133(3):511-523. Bose, A. K., Harvey, B.D., Brais, S., Beaudet, M., and Leduc, A. 2014. Constraints to partial cutting in the boreal forest of Canada in the context of natural disturbance-based management: a review . Forestry 87, 11-28. Brais, S., Work, T.T., Robert, É., O'Connor, C.D., Strukelj, M., Bose, A. K.., Celentano, D., and Harvey, B.D. 2013. Ecosystem Responses to Partial Harvesting in Eastern Boreal Mixedwood Stands . Forests 4: 364-385. Hossain, M., Siddique, M.H.H., Bose, A. K., Limon, S.H., Chowdhury, M.R.K., and Saha, S. 2012. Allometry, above-ground biomass and nutrient distribution in Ceriops decandra (Griffith) Ding Hou dominated forest types of the Sundarbans mangrove forest, Bangladesh . Wetlands Ecology and Management 20(6):539-548. Kamruzzaman, M. Saha, S.K, Bose, A. K., and Islam, M. N. 2008. Effects of age and height on physical and mechanical properties of bamboo . Journal of Tropical Forest Science. 20(3): 211–217. Bose, A. K., Harvey, B.D., Coates, D. K., Brais, S. and Bergeron, Y. 2014. Modelling stand dynamics after partial harvesting treatments in Canadian eastern boreal mixedwoods. 9th IUFRO International Conference on Uneven-aged Silviculture: Future Concepts in Uneven-aged Silviculture for a Changing World, Swiss Federal Institute for Forest, Snow and Landscape Research WSL, Zurich, Switzerland. Harvey, B.D., Bose, A. K., Coates, D. K., Brais, S. and Bergeron, Y. 2014. Modelling stand dynamics after partial harvesting treatments in Canadian eastern boreal mixedwoods. Centre Tecnològic Forestal de Catalunya, Solsona, Spain. Bose, A. K., Harvey, B.D., and Brais, S. 2014. Trembling aspen volume growth responses to partial harvesting treatments in eastern Canadian boreal mixedwood. 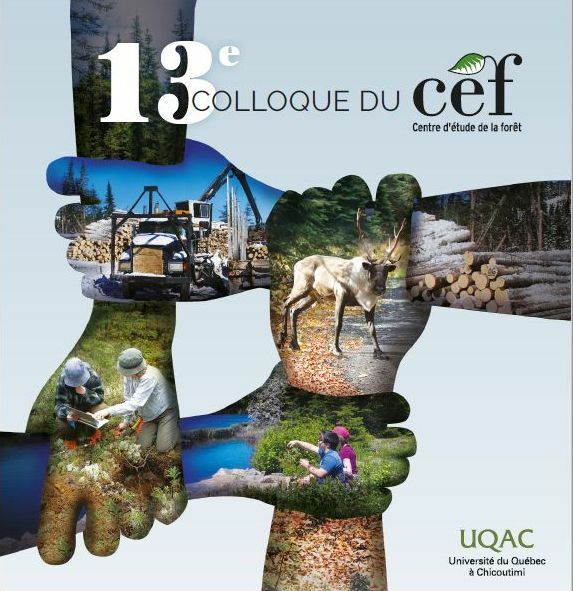 8e colloque annuel du Centre d’étude de la forêt (CEF) et du 13e atelier de la Chaire en aménagement forestier durable (AFD). Montreal, Québec, Canada. Bose, A. K., Harvey, B.D., and Brais, S. 2013. Sapling recruitment and mortality of residual stems (saplings and trees)after partial cuttings in the boreal mixedwood forest of eastern Canada. 7e colloque annuel du Centre d’étude de la forêt (CEF) et du 13e atelier de la Chaire en aménagement forestier durable (AFD). Montebello, Québec, Canada. Bose, A. K., Harvey, B.D., and Brais, S. 2012. Effects of partial cutting on recruitment and mortality in aspen-dominated stands in the boreal mixedwood forest of eastern Canada. 8th IUFRO International Conference on Uneven-aged Silviculture: optimising timber production, ecosystem services and resilience to climate change. Lincoln University, Christchurch, New Zealand. Bose, A. K., Harvey, B.D., and Brais, S. 2012. Biophysical and ecophysiological limitations to the application of partial cutting in the boreal forest. 8th IUFRO International Conference on Uneven-aged Silviculture: optimising timber production, ecosystem services and resilience to climate change. Lincoln University, Christchurch, New Zealand. Harvey, B.D., Brais, S., and Bose, A. K. 2012. Effects of partial cuttings in aspen-dominated stands on the eastern edge of the boreal mixedwood. Boreal Mixedwoods: Ecology and Management for Multiple Values. Edmonton, Alberta, Canada. Bose, A. K., Harvey, B.D., and Brais, S. 2012. Effect of partial harvesting treatments on sapling recruitment and tree mortality in the boreal mixedwood. 6e colloque annuel du Centre d’étude de la forêt (CEF) et du 13e atelier de la Chaire en aménagement forestier durable (AFD). Rouyn-Noranda, Québec, Canada. Bose, A. K., Brais, S. and Harvey, B.D. 2014. Do mature intolerant hardwoods respond to partial harvesting? The case of Trembling aspen (Populus tremuloides Michx.) in boreal mixedwood. 9th IUFRO International Conference on Uneven-aged Silviculture: Future Concepts in Uneven-aged Silviculture for a Changing World, Swiss Federal Institute for Forest, Snow and Landscape Research WSL, Zurich, Switzerland. Brais, S., Harvey, B.D., Strukelj, M., Bose, A. K., Kebli, H., and Haeussler, S. 2013. Sylviculture et aménagement forestier écosystémique en forêt boréale mixte : le projet SAFE. Colloque Naturalité des Eaux et des Forêts, Centre de Congres le Manege, Chambery, France. Bose, A. K., Harvey, B.D., and Brais, S. 2012. Evaluation of stand- and tree-level responses to partial cutting in boreal mixedwood forests using experimental and modeling approaches. Boreal Mixedwoods: Ecology and Management for Multiple Values. Edmonton, Alberta, Canada.